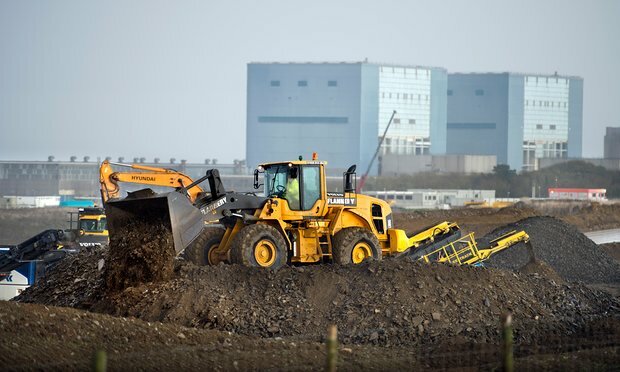 The Hinkley nuclear power deal contains a “poison pill” which could leave taxpayers with a £22bn bill if a future UK government closed the plant before 2060, according to an official document seen by the Guardian. The deal the UK government has agreed with EDF, set out in an unpublicised “minute”, commits the British public to pay subsidies of up to about £40bn in real terms and provides state guarantees on nuclear waste disposal and insurance, while allowing the plant to begin producing electricity as late as 2033. A shutdown that triggers the “poison pill” compensation is not entirely within the control of the UK government but could also be forced by the EU or an international regulator such as the International Atomic Energy Agency, according to the document. “This is a dreadful agreement for the nation,” said Prof Catherine Mitchell, an energy policy expert at the University of Exeter. “The government is already paying a high price, index-linked for an incredibly long 35 years. This should be more than sufficient for a professional, business contract. “There could be so many reasons over 35 years that you would want to close the plant,” she said, including rising costs, changes to the UK’s energy system or loss of public confidence. The £22bn is the maximum that would be payable and the deal allows the plant to be closed on safety or security grounds without compensation being paid. EDF said in 2007 that the new nuclear reactors at Hinkley Point in Somerset would be providing power to cook Christmas dinners in 2017, but it has repeatedly delayed its final investment decision. It has yet to complete a reactor employing the new design intended for Hinkley, with projects in France and Finland hugely over budget and years behind schedule. In recent weeks, EDF’s finance director quit over concerns about the project’s impact on the already heavily indebted company and EDF had to ask its owner, the French state, for increased support. MPs will grill EDF’s boss next Wednesday, and say there are “serious questions” to answer about Hinkley’s viability. But François Hollande and David Cameron have strongly backed the project as “a pillar of the bilateral relationship” and “a key aspect of Britain’s energy policy”. Former Conservative energy secretary Lord Howell has criticised the Hinkley deal as “one of the worst deals ever” for British consumers and industry and has protested against “endless government guarantees for risk-free returns to the investors”. The UK government argues that new nuclear power is essential to provide large amounts of reliable, low-carbon energy.